TSI Test Review - What is the TSI Assessment? The Texas Success Initiative Assessment, better known as the TSI test, is a program which determines the appropriate level of college course work for an incoming student. The TSI test consists of three separate exams: Mathematics, Reading, and Writing. Although there are several criteria which exempt a student from the need for this program, many incoming college students in Texas will be required to take them. Other than the essay portion, the exams themselves are multiple choice and computer adaptive, as questions increase or decrease in difficulty based upon previous answers. Successful scoring on the TSI proves your readiness for college-level course work and will save you substantial time and money by allowing you to avoid remedial classes. 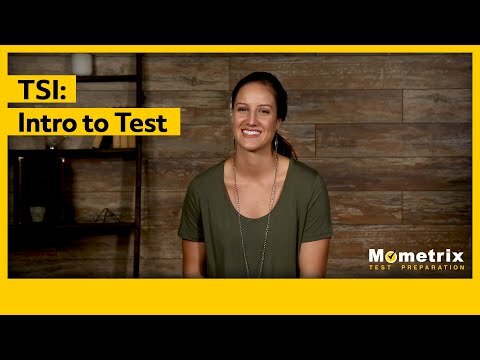 Our free Mometrix Academy video tutorials will assist your review for the TSI test, and will help you achieve success on test day. Mometrix Academy is a completely free resource provided by Mometrix Test Preparation. If you find benefit from our efforts here, check out our premium quality TSI study guide to take your studying to the next level. Just click the TSI study guide link below. Your purchase also helps us make even more great, free content for test-takers. If you’re an incoming or current college student, you either have or haven’t heard of the TSI test, also identified by its full name: the Texas Success Initiative Assessment. The TSI exam first came about in 2003, and was enacted by Texas legislation as a means of helping students enrolling in public colleges throughout the state of Texas prepare themselves for college-level curriculum. The TSI assessment is meant only for those who are at risk of not being fully prepared to handle college curriculum. In other words, it is not a required part of college enrollment for everyone. There are a number of ways you can get out of taking the TSI, including past or current military enrollment, obtaining your Level-One certificate certification, or completing math and English courses at a college level with a passing grade. Naturally, you are also exempt if you plan not to attend college at all. If you’re a student who needs TSI testing, you will first receive notification from your chosen college. Your previous scores on the STAAR EOC assessment, SAT, TAKS, or ACT assessments influence whether or not you have to take the TSI test as well. You must have scored at least 2000 points in writing and reading and 4000 points in Algebra for the STAAR exam; 500 in reading and math on the SAT; 3 in writing, and 2200 points for English and math on the TAKS assessment; or 19 for English and math on the ACT to be considered for exemption. Additionally, you only have five years to enroll in college after taking any of these tests and receiving the proper scores to apply for exemption from the TSI. If you do turn out to need the TSI assessment as part of your enrollment process, don’t worry and don’t feel discouraged. The purpose of the TSI exam is to measure how prepared you are for college-level curriculum. If you turn out to not be prepared enough based upon the test’s rubric, educators can use your results to help you prepare for college in whatever way is best for you. The TSI ultimately helps educators determine how to best help you learn in a college setting by determining your level of skill and matching you with an appropriate class. How Do I Prepare for the TSI Assessment? It is worth significant note that you will not immediately take the TSI exam. The “pre-assessment activity” comes before the actual exam, and is a mandatory component of the testing process. If you do not complete your pre-assessment activity, you cannot take the TSI exam. It is the shortest part of the TSI testing process, averaging at around 30 minutes in length. The pre-assessment activity accomplishes many important feats with respect to your testing experience by providing you with college success tips and tools, clarification on why the TSI assessment is necessary, the next steps you can take if your results indicate that you are not prepared for college, and a set of practice questions so you can quiz yourself. One of the best ways to prepare yourself for the TSI is to pay special attention to the questions covering your weakest subjects. Outside of the pre-assessment activity, you can find a wider set of practice questions on the College Board website. Regardless of how well you perform on the practice exam, you will not receive a score. 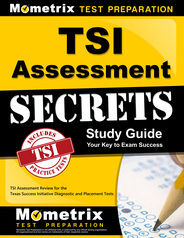 Each practice exam is about half the length of the actual TSI exam, ranging from 10 to 12 questions. It is also completely free. Upon completing the pre-assessment activity, you will receive a certificate verifying the completion. You can use this certificate to officially sign up to take the TSI. When you are ready to take the exam, you can sign up for a testing date either over the phone, physically at the test’s official headquarters within the Academic Advising Center Building, or on the official website. The test is made available throughout the year, and a calendar exists online to help test takers plan for their exam. A fee is required for those taking the test, which varies from school to school. There are options for having this fee waived, which also vary between schools and testing centers. TSI arrive at their designated site at least 15 minutes in advance for the sake of preliminary procedures, such as checking in. Tardy arrivals are not tolerated, and those who are not on time risk being turned away from taking the exam. Students also must bring the necessary identification to be allowed to test. Any kind of institutional ID card should work. 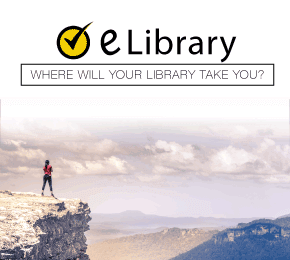 You may also have to bring a receipt proving you have paid for the test, or that you have had the fee waivered, and the certificate you received after completing the pre-assessment activity to the site where you will be testing. Most schools offer accommodations for students who cannot take the test at their designated testing site. Should a student have this limitation, they can switch their site to a location closer to their area, and will be provided special information on how their test will be processed. The TSI exam is composed of three subjects: writing, reading, and math. In addition to the main test, you may receive a supplementary test to help learn more about your abilities in specific subjects. There is no time limit for the test, meaning that you can take as much time as you need to make sure you do the best job possible. The initial testing period is around 5 hours long. If you do not finish the test during this period, you have an additional two weeks to finish the test. The long amount of time you receive is especially important because the test determines the difficulty level of each question based on your answers to previous questions. Each portion of the TSI exam covers a specific set of skills, and the formatting of each is written to match. Each subject averages also averages around 20 questions. The TSI assessment’s writing section is composed of two subsections: an essay and multiple choice. The essay test is your standard fare. You will receive a prompt based on current events and issues, and be tasked with writing an essay of at least five paragraphs (ranging between 300 and 600 words) about the topic. All that will be provided to you to help you through the writing process is scratch paper for the sake of drafting out your essay. No research or dictionaries are allowed. The requirements graders look for are basic writing ability, how well you use evidence to back up your thesis statement, and the strength of your thesis statement in general. The multiple-choice section of the test spans 20 questions and examines four specific skills in relation to your writing ability. Its focuses are sentence logic, or how well you utilize transitions and other sentence enhancers; essay revision, or how you present your central argument and refute it with evidence-based arguments; sentence structure, or how easily you can spot grammatical errors; and agreement, or your mastery of verb tenses, subject-verb agreement, and other related subjects. The TSI reading test is around 20 questions long and seeks to evaluate four distinct areas of your reading ability: how you interpret language, your ability to conduct literary analysis, the inferences you are able to draw from the passages provided to you, and how you use context clues to find the main idea of a work. The mathematics portion of the TSI test is 20 questions in length and spreads across four different elements of mathematical knowledge. The first is data analysis, meaning that one of the test’s concerns is your ability to decipher probability, statistics, and sets of data. The other areas the TSI’s math section tests are geometry, or how well you can distinguish three-dimensional shapes, symmetry, and area; and algebra on both intermediate and basic levels. The last component of the math test evaluates your ability to solve various types of algebraic equations. You cannot use a calculator on the math portion of the test. TSI scores are released the same day you complete your test, and will be sent to you electronically. You can then choose to send your TSI scores to the college of your choosing, and your next steps proceed from there. Another important note is your ability to reuse these scores if you decide to transfer schools later on during your academic career. If you do well on the TSI, you are deemed ready for college curriculum and can proceed with regular enrollment procedures. However, if you receive a low score on the TSI, don’t give up yet. Failure of the assessment does not bar you from attending your chosen school. Rather, it alters the courses you can take during your year of entrance. Students who score lower on the TSI have two options at their disposal. They can choose to retake the TSI exam or consult their college. If you choose the latter option, an advisor at your school will help place you in courses that match your skill level in whatever subjects you are weak in, so that you can catch up with your peers. This means that you will not qualify for college-level versions of your weaker subjects and instead will have to take remedial courses. If you score low on the reading portion of the test, for example, you won’t be able to take courses that require heavy amounts of reading. Low scores on the writing and math portions bar you from taking advanced courses in those subjects as well. Also, you must be enrolled in these courses for a specific amount of time before you can move on to college courses in these subjects—specifically, the entire semester. If you choose to retake the TSI exam, you can do so at any time of the year. If you pass your retake, you are free to enroll in any college-level courses in the subjects featured on the TSI as you so choose. Individual colleges have their own rules about how retesting works, when retesting will take place, and how soon you must take your retest without it affecting your class enrollment choices for the oncoming semester. However, retaking the test is a valuable opportunity if you do not wish to take remedial courses. Should you choose this option, it is heavily important that you study as much and as hard as you can. How well you study this time will determine your level of improvement in comparison to your previous score. Many testing centers offer classes to help students taking the TSI learn how to study properly and prepare themselves for the exam. You may also find a large body of testing preparation materials online, which are provided by many schools throughout the state of Texas. It would be wise for you to consult the testing center where you’ll be taking your retest in order to figure out scheduling for both any study classes at the center as well as dates for the test. 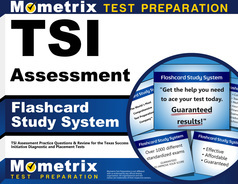 Whether you are taking the TSI for the first time or retaking it, Mometrix Study Preparation has the tools you need to help you prepare for this highly important exam. 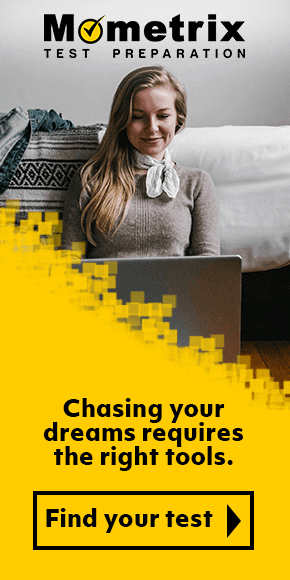 On our site, you’ll find a number of valuable study tools—such as videos, practice tests, and more—to help you know what to look out for on the exam and boost your chances of success. Feel free to take advantage of our study tools. We hope we can help you succeed.